Location (Address): 300 West Olive Ave.
We started our business in 1992 Installing car stereos and cell phones in cars and trucks. We will be celebrating our 20th Anniversary next year. 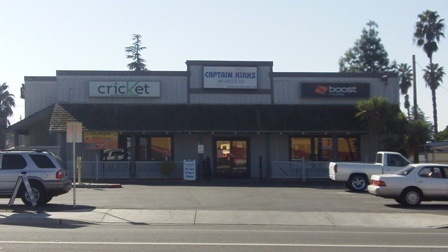 We are the oldest Independent Wireless Phone Dealer in the Valley. We sell wireless phones, services, we do cell phone repairs, and bill payments for Boost Mobile, AT&T, Sprint, Verizon, Cricket, Nextel, and Virgin Mobile. people now days have a cell phone. What kind of community projects does your company participate in? to raise money for them, Golf tournament and Strut your mutt at the park. I would like to thank all the hard working people of the Madera Animal Shelter. We opened a Repair Center last year and it has been doing very well. Nobody was fixing phones in the valley, and with money being tighter now a day’s is what prompted us to start doing cell phone repairs. We also buy phones working or not working conditions. If anybody has old phones they no longer want please feel free to drop them off to be recycled. I like to use a lot of the discounts they provide me, and the money I save from my Insurance discounts alone more then pays for my membership. Their website and newspaper keeps me up to date with what’s going on in the farming community and around us.